Today was huge! We have a new attendance record, 501 joined us this morning at Roundhay. Huge thanks to our 31 volunteers who kept us all in order. 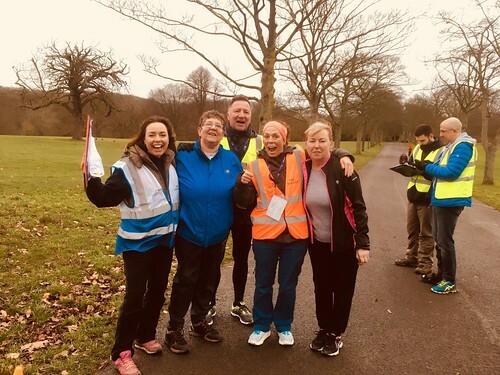 Lisa and Gayle were finishers 499 and 500, pictured here with Alyson making her debut as Run Director, John one of our fabulous Marshals and Hannah our Tail Walker. Slightly warmer weather encouraged a big attendance with 76 first timers! Anita did a great job at first timers briefing. They all look like they are listening to me! Today was pick a pace day. 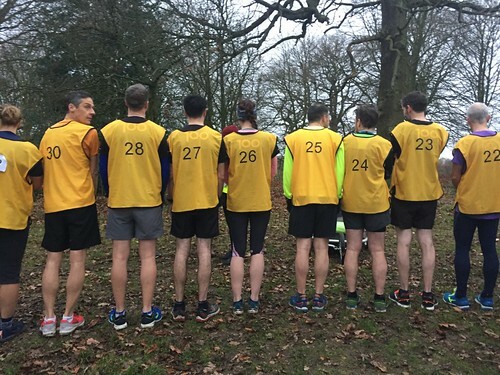 We had so many pacers I couldn't fit them all in the picture! We had 21, 22, 23, 24, 25, 26, 27, 28, 30, 31 and 32 minutes. There was an impressive 82 recorded PB's today! Great work! 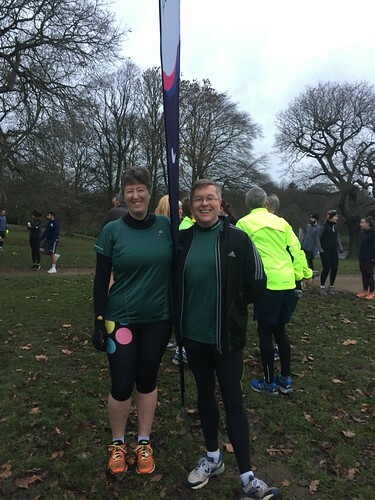 As if that wasn't enough we also had Carol and Andy both celebrating their 400th run! They kindly provided bananas and flapjack at the finish. Well done to both of you! 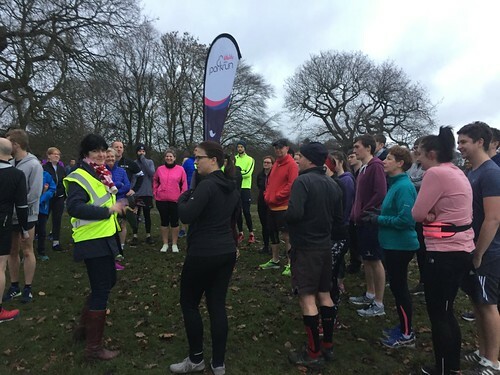 I'm sure there will be many more parkruns to come. Hope you had a good parkrun wherever you were, we'll see you next week!